In addition to the increased cost of filling them with fuel, car rental rates are rising as rental companies try to squeeze profits out of a shrinking fleet, reports the Detroit News. To help decrease overhead, rental companies have removed 300,000 vehicles from their inventory, despite demand that has remained steady. To generate revenue from a smaller fleet, costs to the consumer have increased — though not as much as they could have thanks to intense competition within the industry. Prices for daily rentals have shown larger increases than longer-term rentals, according to the News, but deals and special promotions can help keep costs down. And be sure to shop around, since, in some cases, the rental companies themselves don't seem to know how much they've raised prices: Take Ned Maniscalo, a spokesman for Enterprise Rent-A-Car, who told the News, "I would be surprised if [prices have] gone up 10 percent." Prepare to be surprised, Ned. —Ask your agent if your personal insurance policy covers collision and liability for rental cars. Do limitations or deductibles apply? 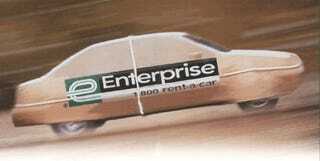 Inquire about rental car coverage through your credit card company. (Also see our helpful guide here). Am I entitled to membership benefits or discounts when I make my reservation? —AAA members, for example, can receive up to a 20 percent discount with Hertz in addition to special upgrades, coupons and exemptions from certain charges. Are there charges if I drop off the car early? —Some companies charge for early drop-off. Also inquire about the cancellation policy. Can I get a reservation confirmation number? —Write the number down and have it handy when you pick up the car. Will my driving record be checked? —In many states, car rental companies perform motor vehicle record checks on renters and additional drivers. Drivers with questionable records may be denied service when they arrive to pick up their car.